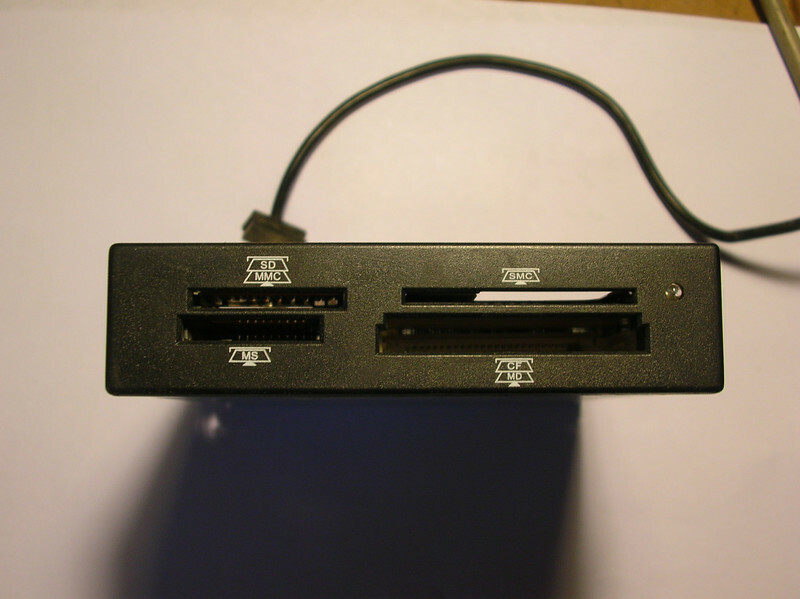 Bottom of the card reader, with included feet for desktop traction. 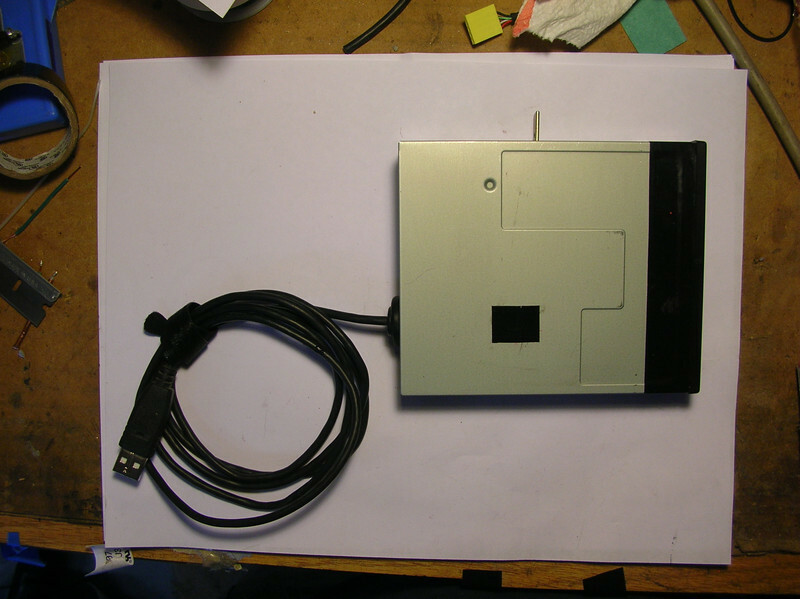 A view of the card reader with the converted cable, for external use. 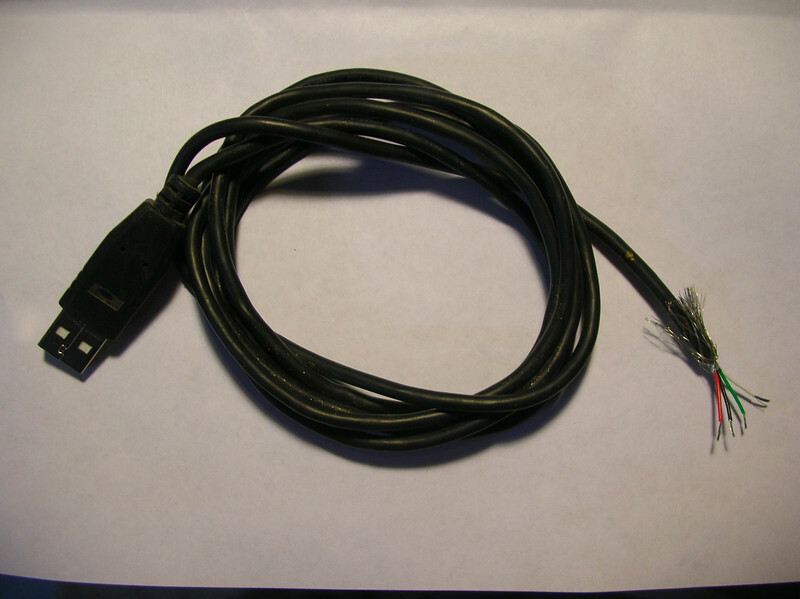 A view of the connectorized USB cable, ready to plug into the card reader. 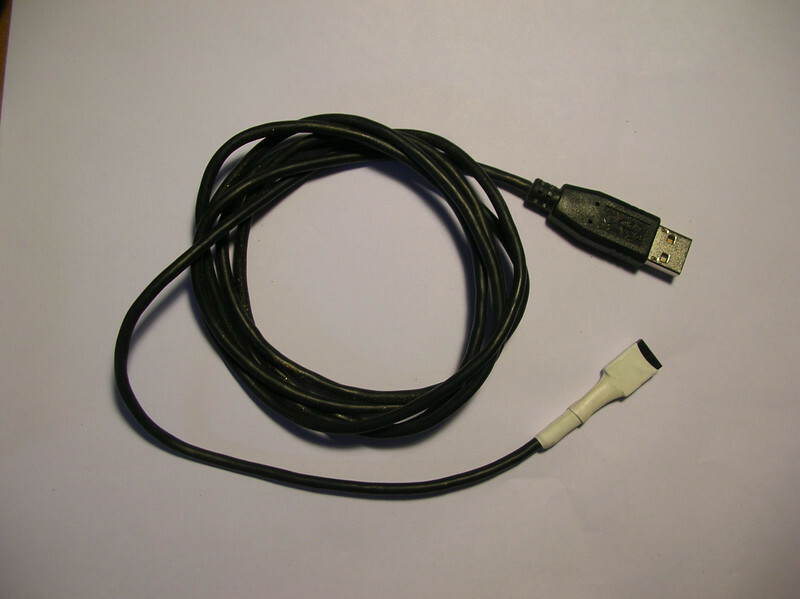 An old camera USB cable was used for connection to the card reader. 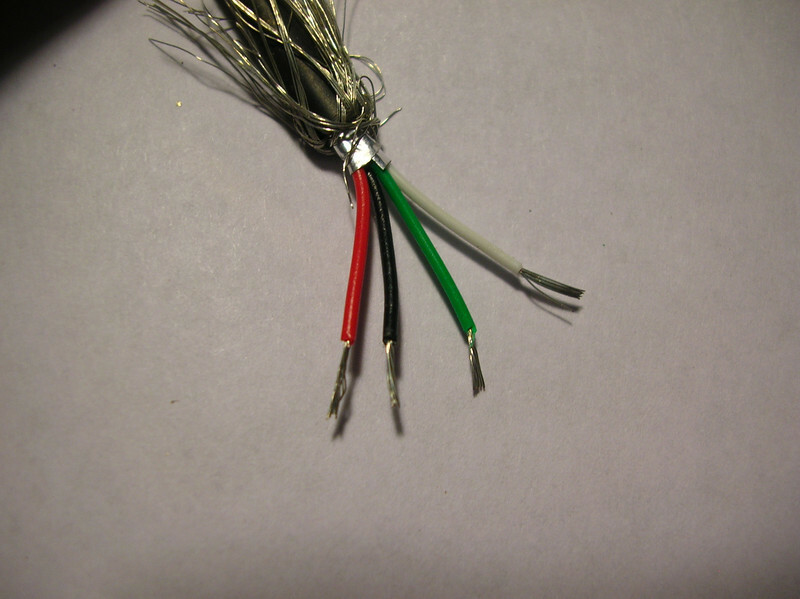 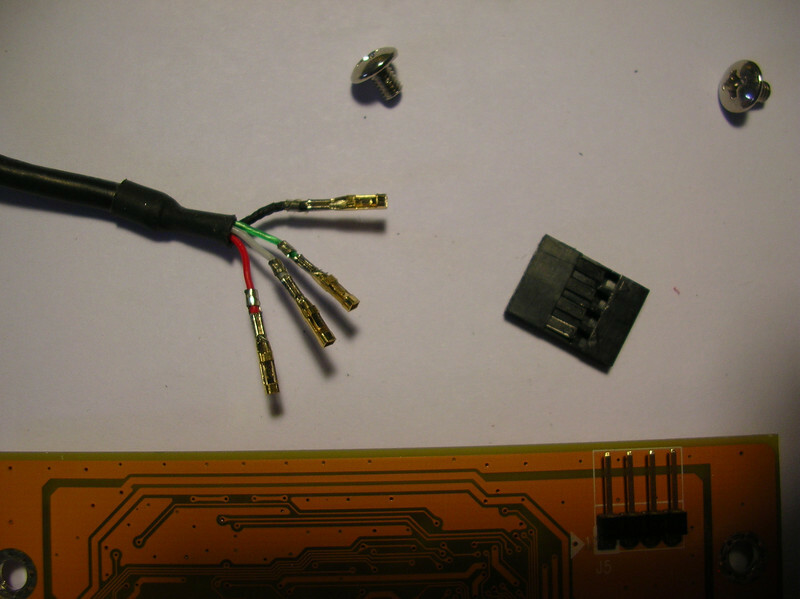 The wires were stripped as shown. 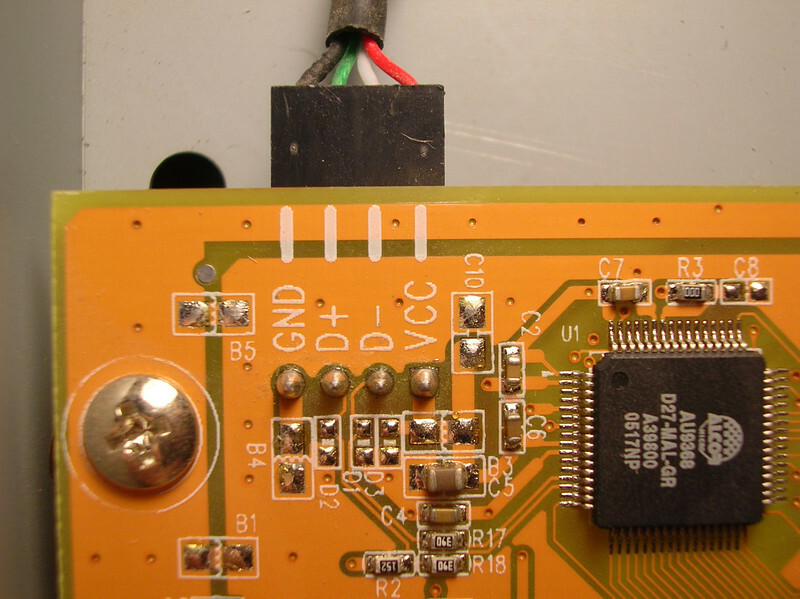 Details of the USB connection to the card reader. 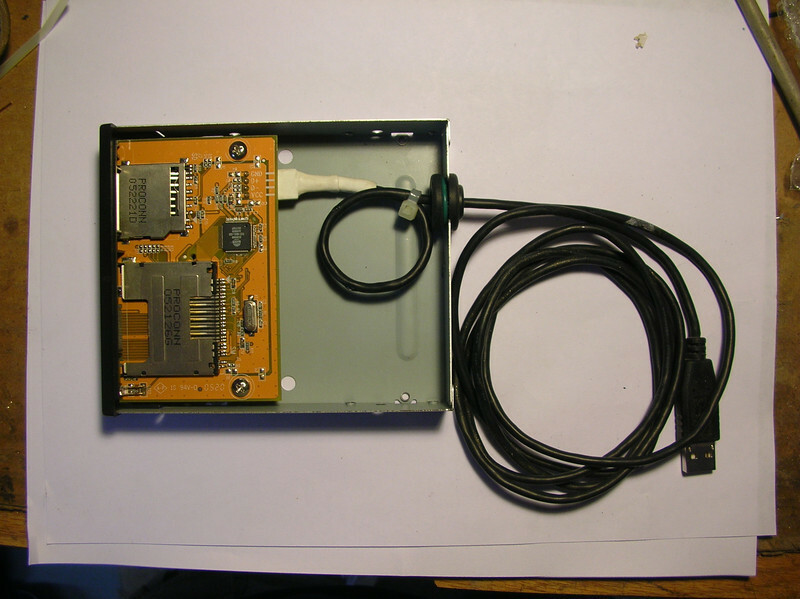 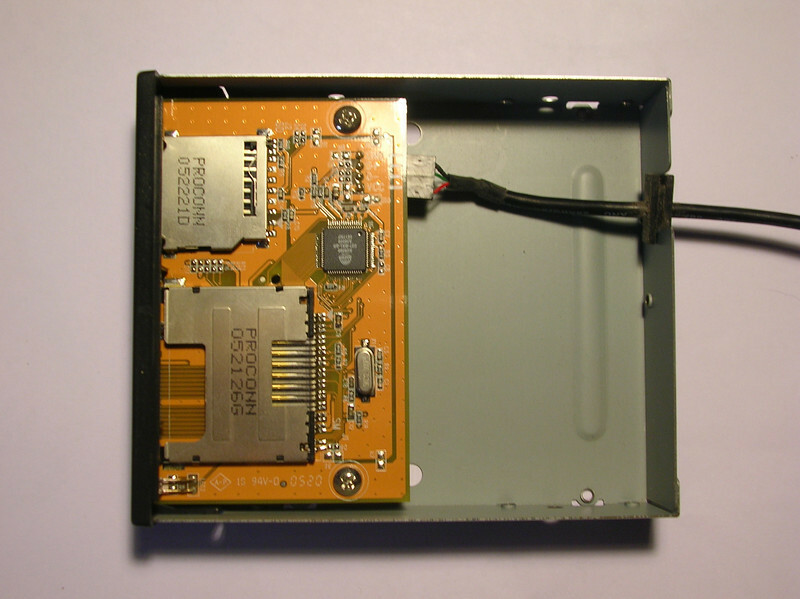 Internals of the stock card reader. 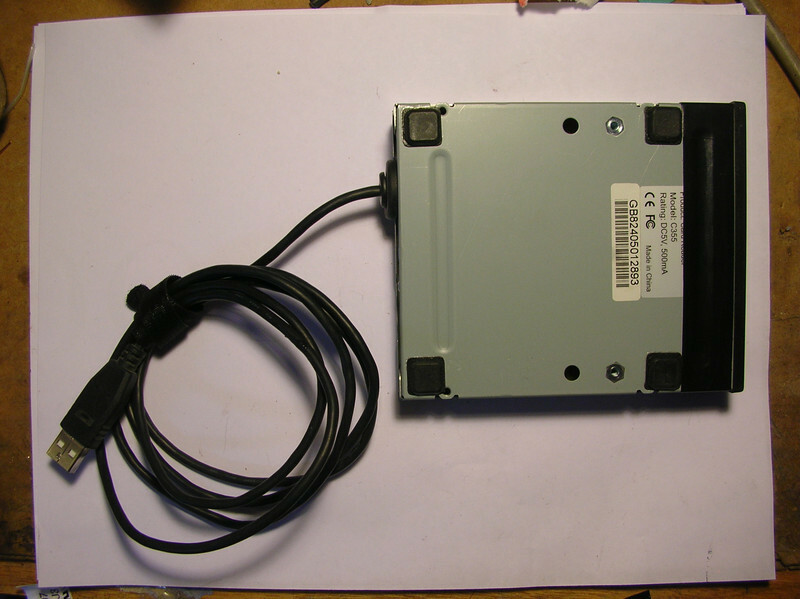 This internal card reader was converted from Internal to external USB, for desktop use.